All aboard! If you want to see this beautiful country up-close and personal, it’s time to get off the planes and on the trains. Amtrak Vacations offers more than a quick trip to a destination. It has created entire vacation itineraries throughout the country, from one side to the other, as well as in various regions. You can see the beauty of the country from your train window and can also step off at stops and tour on your own. 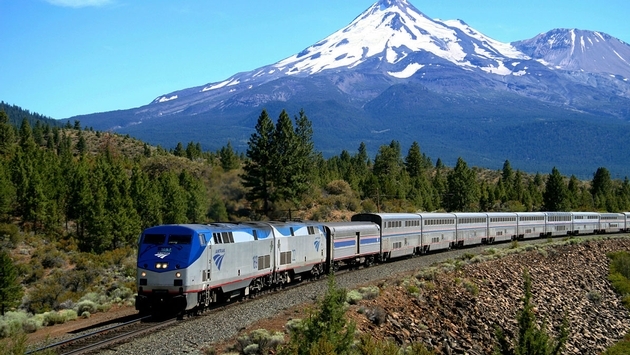 Amtrak offers more than 30 preplanned adventures. For example, you can hop onboard the Silver Service, which starts in New York City and finishes in Miami. Along the way you will see the Schuylkill River, Boat House Row, the seaports in Baltimore, a view of our nation’s capital, and the famous steps that Rocky Balboa used in Philadelphia. You can also embark upon the Ethan Allen Express, which serves the 241-mile route between New York City and the picturesque area of Rutland, Vermont. Amtrak’s Maple Leaf Route features the Palisades, Adirondack Mountains; the ruins of world-famous Bannerman’s Castle; and the Academy at West Point. The colorful scenery is non-stop and stunning all the way to the final destination of Toronto, Canada. If you want to tour along the bottom half of the country, Amtrak’s Southwest Chief takes you from Los Angeles through Flagstaff, Albuquerque, and Kansas City all the way to Chicago on a beautiful journey of more than 2200 miles. There are Midwest itineraries available so you can see the exquisite heartland of the United States. Start your train adventure by either creating your own itinerary or picking the pre-designated route that you want to travel. For your accommodations, Amtrak offers a choice of private rooms with amenities for you to use during the day and at night or you can book a roomette or coach seating – a wide reclining seat with a leg rest. Those are perfect for shorter journeys. The sleeping cars can accommodate one to four people. Daytime seating converts to beds at night. While you can bring your own food on board, Amtrak also provides a wide variety of dining choices for you to choose from, including a dining car for full meals, a lounge/café for lighter fare and a café for sandwiches, snacks and beverages. Just like the airlines, you can take two carry-on pieces of luggage and check additional luggage and oversized items. Pets are allowed for an additional $25 charge. 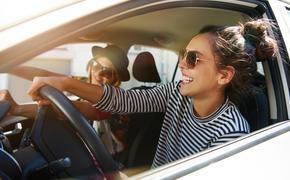 In addition to your vacation itinerary, Amtrak Vacations can help you add a hotel, rental car or ground transfer service, tickets for a show and other things to do at your destination. They offer discounted tours and specials for senior travelers. Traveling the country by train is a convenient way to see the sights and let someone else do the driving. You can forget about the busy airports, chat with other passengers and get up and stretch your legs. Kids love the train and there’s always something new to see. You’ll never hear “Are we there yet?” because you are there on the entire ride.